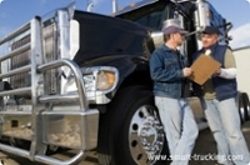 To be a truck driver for Domenico Transportation Co., a truck driver must: hold a Class A commercial driver's license; have three years of recent and verifiable mountain driving; have no moving violations within a three-year period; and be able to drive year-round in the Colorado mountains. Mark Kilcrease applied for the truck driver position. He disclosed that for the past several years he had not been able to work because he had cancer. Mr. Kilcrease's cancer was currently under remission. His application was rejected because he did not have the three years of recent driving experience. His lack of recent experience was due to his cancer. Prior to being ill, Mr. Kilcrease did have the necessary driving experience. Mr. Kilcrease sued Domenico under the Americans with Disabilities Act ("ADA"). The Tenth Circuit Court of Appeals upheld Domencio's right not to hire Mr. Kilcrease. Mr. Kilcrease had to establish that he was qualified for the position in order to be protected by the ADA. However, he did not have the requisite experience laid out in the advertised job description. The court of appeals accepted that the elements of the company's job description were essential functions of the position. Mr. Kilcrease was unable to provide evidence to refute the company's position. Mr. Kilcrease's inability to meet the necessary job criteria meant that he was not a "qualified" individual under the ADA. Therefore, Domenico was not protected by the ADA.